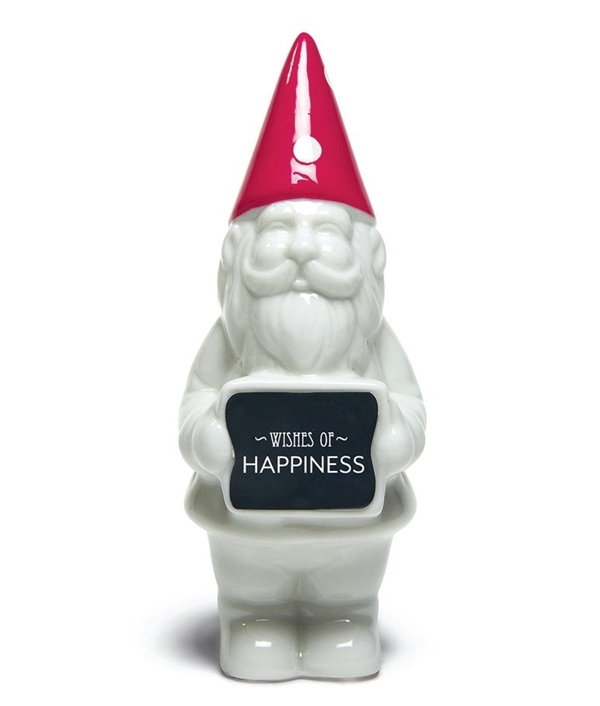 Dimensions: 5" x 2 1/3" x 1 3/4"
This adorable porcelain miniature gnome with a fuchsia-colored polka-dotted hat will add a lot of joy to your tabletops especially since he is there to bring "Wishes of Happiness" to the happy couple and all their guests. Non-personalized. A personalized version where you may change the text on the gnome's blackboard is available separately as Product Code: ER-9206P. PLEASE NOTE: Sold as a set of four (4) and prices quoted below are per set.